Insulated concrete forms offer several benefits over wood-frame construction. 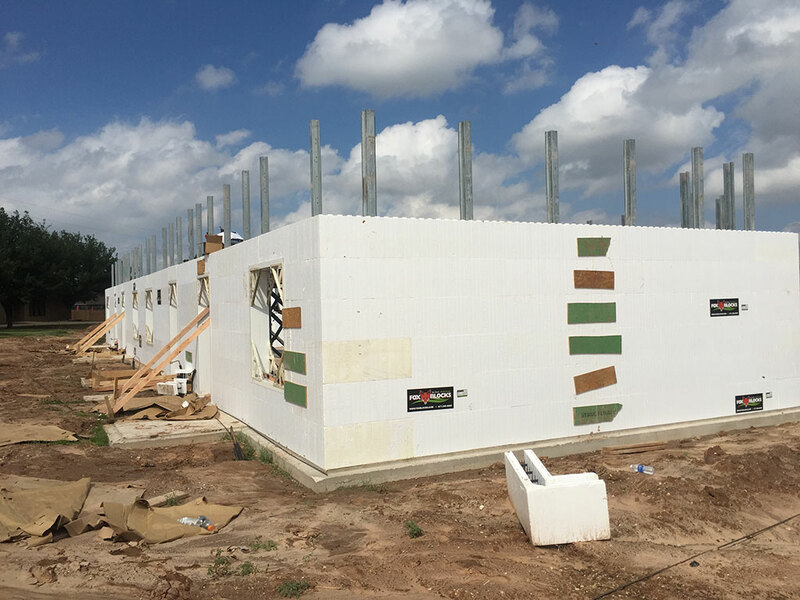 Read about the advantages of building with ICF blocks. You may not give much thought to framing materials. After all, wood framing techniques have been employed in one form or another for hundreds of years. However, the construction industry is always changing. The search to improve on the weaknesses of traditional framing has resulted in insulated concrete forms (ICF). 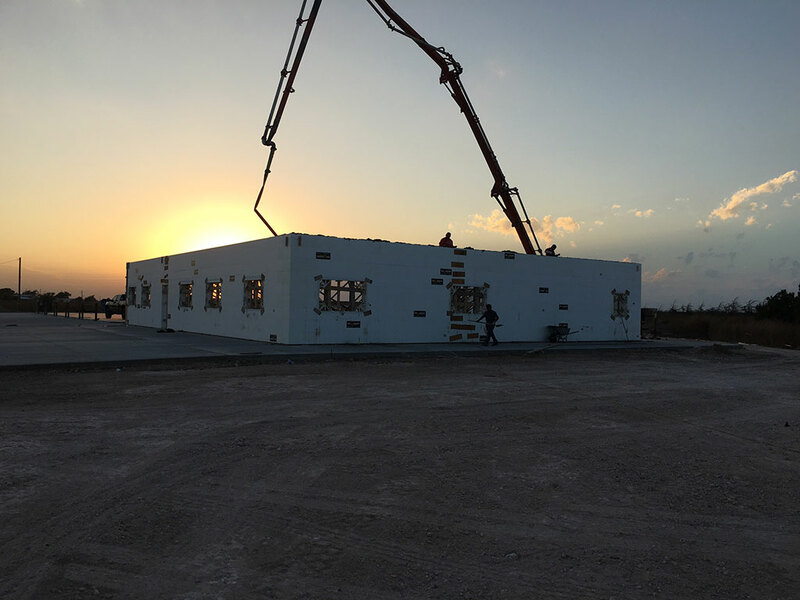 These systems radically change the approach to structuring a building, combining the attributes of concrete with insulation built right into the forms to produce durable, airtight frames with a number of benefits. 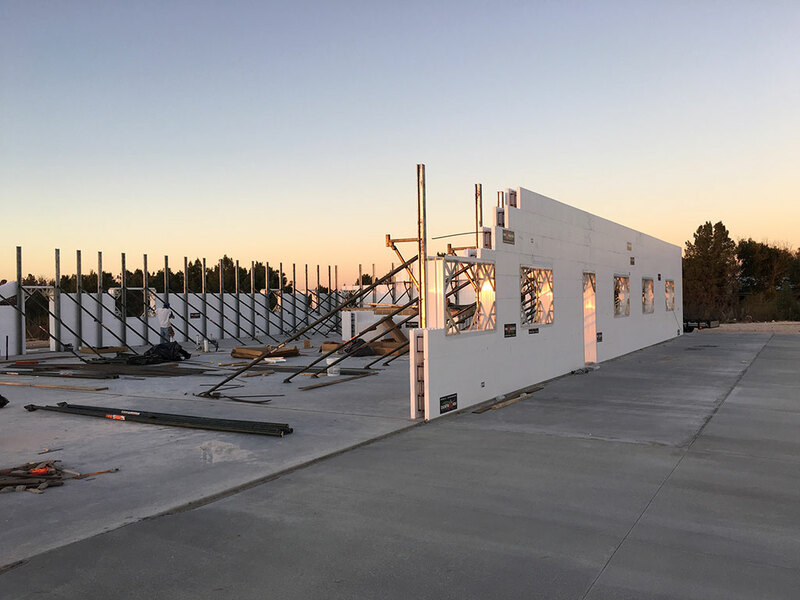 While the initial construction may end up slightly more expensive than wood-frame buildings, some designs are actually cheaper, particularly when ICF’s faster construction speed is leveraged. Where ICF saves the most is by reducing maintenance, energy costs and home-insurance premiums. Walls built using insulated concrete forms are significantly stronger than those built using lumber framing. The interior of the forms is reinforced with specially engineered steel before concrete is poured, producing an extremely tough, durable structure that resists load pressures and the stresses of severe weather and earthquakes. The sandwich-like composition of a wall built with ICF blocks helps regulate heat transfer. Concrete has a high thermal mass and high thermal resistance, improving its ability to prevent heat from passing through. The outer layers of foam, which are left in place after the concrete cures, create additional thermal resistance. Insulated concrete forms greatly increase the time a home can be exposed to a fire, offering at least four times the fire resistance of wood-framed homes. Concrete is non-combustible, and the foam is highly flame retardant. Insects have nothing to eat with ICF because neither the concrete nor the foam is edible. Concrete is also very hard, offering extreme resistance to rodents and other gnawing or burrowing animals. While it is possible for animals to tunnel through the foam insulation, they cannot get through the wall because of the barrier created by the concrete core. The high mass and airtightness achievable with a thick wall constructed using insulated concrete forms result in an appreciable attenuation of exterior noise. Sound must be able to vibrate a medium in order to travel. There’s no air inside an ICF wall and the concrete core is minimally responsive to vibration. As you plan your project, it’s worth consulting with a contractor with ICF experience, like Titan Homes & Construction. The many benefits make this method an attractive choice for anyone interested in reducing energy costs, improving durability and resisting threats such as fire and severe weather events. After considering your needs, you may find insulated concrete forms are right for you.